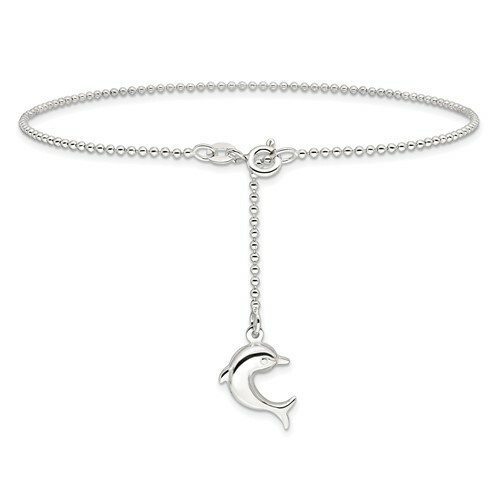 Polished, beaded sterling silver dolphin anklet weighs 2.25 grams. Dolphin charm is 3-D, hollow. Made in the USA.